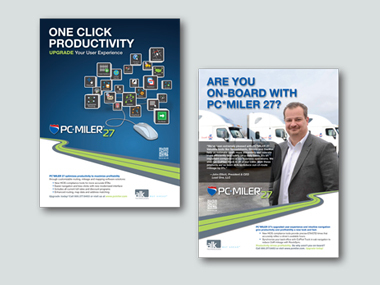 As a global leader in commercial truck transportation and logistics management, the company sought marketing communications to support the launch of the newest version of the ALK PC*MILER® routing, mileage and mapping software for commercial motor carriers, private fleets and owner-operators (PC*MILER® 26). In order to ensure a successful launch with legs, the client needed to reach both existing customers, as well as prospects. 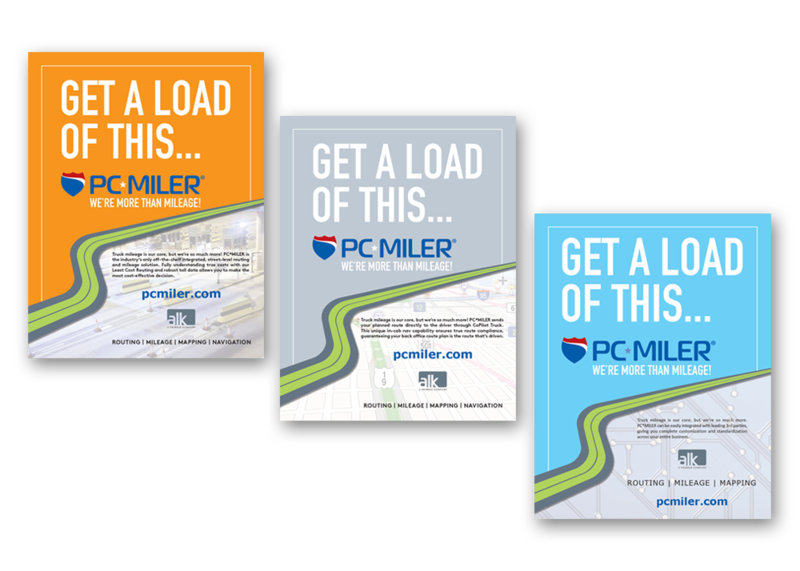 CMA created a print ad campaign for commercial trucking and logistics trade publications and a direct mail campaign targeting fleet and manufacturer shipper audiences. 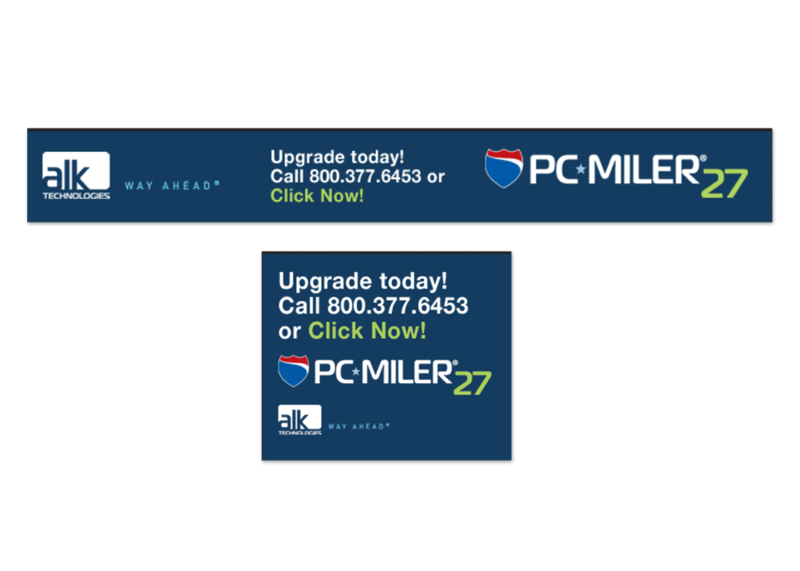 All tactics were unified by the headline “Technology Beyond Miles”—implying that PC*MILER® 26 was an advanced solution beyond just tracking routes and miles for billing purposes. 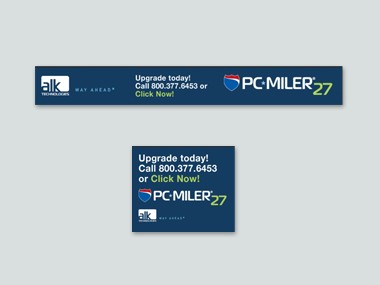 An animated digital banner ad was created for ALK’s website and other online placements. 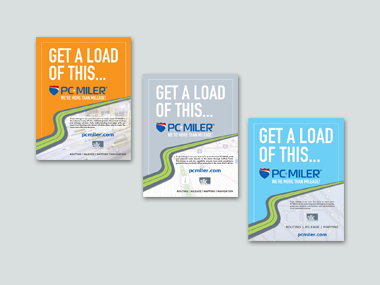 An oversized postcard mailing was combined with the ad campaign for a one-two marketing punch. The messages and graphics of the DM campaign dovetailed with the ad for greater memorability. Using variable data printing, the direct mail pieces were personalized to each recipient and included a personalized URL for response analytics. CMA wrote and produced a five-minute promotional video weaving together software screen shots, in-cab footage and on the road video clips reviewing major operational features and benefits of the software. ALK demonstrated the video in its trade show booths, as well as on its own website. 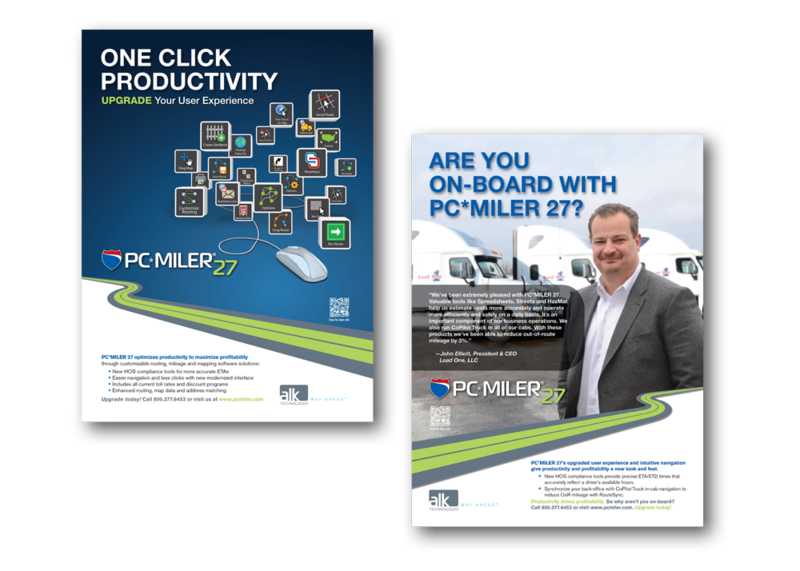 The high-impact marketing launch jump started lead generation for prospect demos and drove an uptick in PC*MILER 26 sales. (Not to mention industry partners and competitors reaching out to the client with their compliments on the print and digital ads).